A Canadian-Jewish version of the story of Agafya Lykov, Russian Siberian hermit familiar to Hermitary readers, is pursued by a group of young writers, reported in the Canadian Jewish News as “Letters From a Hermit Raised In The Siberian Wilderness.” The drama is presented as an exchange of correspondence. Ancient Origins offers a quick overview of hermits in history as a background to a story on Russian man Pavel Sapozhnikov’s experiment in living in wilderness alone in “Challenge Accepted: 6 Months as a Medieval Hermit in Russia.” The latter is a 2013 Russian-language film titled “Alone in the Past — Surviving the Russian Winter, 9th-Century Style” presented in a reality television style. 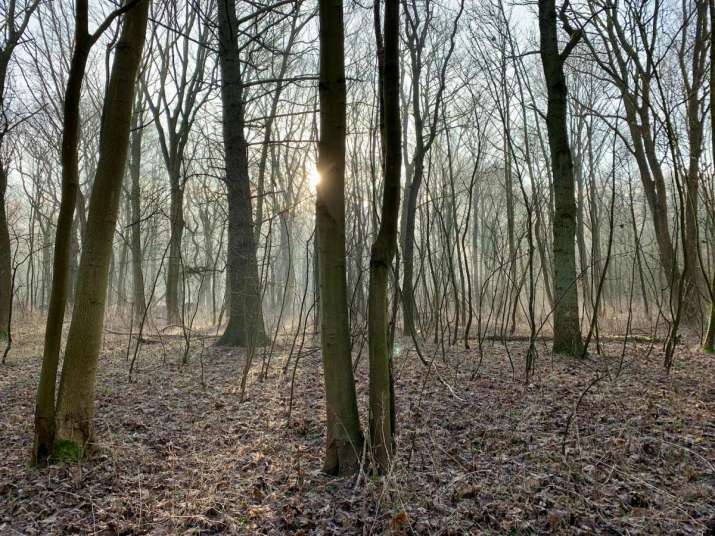 A BuddhistDoor item titled “Discovering Oneself in Woodland Solitude”reflects on the German concept of waldeinsamkeit, a term meaning solitude without loneliness or alienation while i woodland. The article reflects on how this feeling of reassuring solitude is evoked in natural settings such as forests. This article pairs well with the many current discussions of the Japanese practice of shinrin-yoku or forest-bathing.